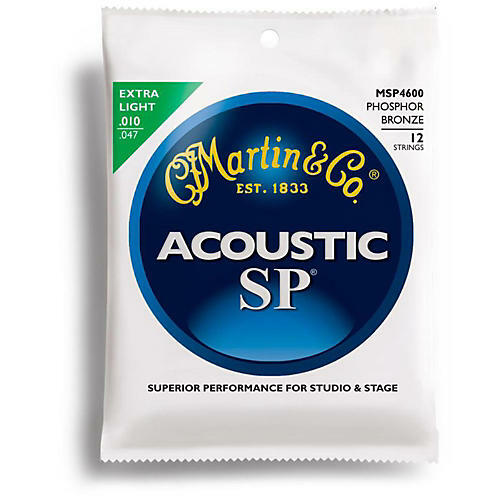 Gauges 10-14-23-30-39-47.Martin SP Acoustic strings are designed with the performer in mind. Made with high-tensile strength core wire and finished with the highest-quality wrap wire, Martin's SP line of strings stands up to rigorous practice and performance schedules to deliver consistent true tone that you can count on song after song. Martin SP Acoustic strings are designed with the performer in mind. Made with high-tensile strength core wire and finished with the highest-quality wrap wire, Martin's SP line of strings stands up to rigorous practice and performance schedules to deliver consistent true tone that you can count on song after song.